WanderMan: Toilet Paper - We All Need It, But What Kind Is OK For Your RV? Toilet Paper - We All Need It, But What Kind Is OK For Your RV? OK, it's time to have a serious talk about TP. Toilet paper. RV sanitation is always a touchy subject. Heck, if you watch many RV scenes in movies you'll notice they usually show the disastrous results of your sewage system. Don't believe me? Watch Robin Williams in the film "RV." Yes, it's funny if it's in a movie, not so much if it's real. Don't be afraid of your RV toilet. Use it! If you follow some simple rules and be kind to it, it will give you years of trouble-free service. So, what can you do to make sure everything, umm, comes out OK? Well, a good start would be keeping your RV Black Water tank clean. This is a very important part of getting the full measure of enjoyment from your home on wheels. What you put INTO the black tank is critical to its survival. With the exception of what comes out of you....you should only put TP into that tank. Trouble is....what kind? And Why? There are quite a few schools of thought on this subject, but they all agree on one point. TP needs to dissolve easily and quickly. OK, TWO points... The quicker and more completely it will break down the easier it will be to get out when you dump the tank. There are many commercially available toilet papers out there and many of them work just fine. How to choose? Well. Let's begin by talking about ply. Single or Double? Well, RV paper comes in both styles from the major manufacturers so that's a start. Personally, I dislike single ply. It's fine if you double it up, but that defeats the idea of single ply! Double ply can be OK as long as it will break down quickly. This gets confusing. How to figure it all out? Easy. Do your own tests. Get a piece of the paper in question and drop it into a container of water for a few minutes. Pick up the container and swirl it (maybe a little bit of a shake too!). If the paper is completely broken down to the point it will flow out of the tank through your hose -- Bingo! You are good to go. If, on the other hand, you are left with a semi-solid mass...I wouldn't recommend putting it in your black tank. It will likely clog the tank, collect on the bottom and probably get stuck on your tank sensors giving you false readings. I tested quite a few brands, both RV and regular store bought. I was VERY surprised at the results. Be Careful! Sometimes a manufacturer will change their paper and what worked in the past might NOT work in the future. Be safe, test each time you buy a new batch. Always use a good amount of water with each flush. I know conservation is important, but a solid mass of dried matter at the bottom of your tank will be very difficult to clean out! With prices of RV toilet paper (and the fact they are not all that comfortable to use!) so high per roll, why not experiment a bit and find one that you'll like using. After all.....it's your bottom, treat it nicely! Soooo...did you find any non-rv paper that YOU would use? Basically any major brand multi-ply home paper is out. Takes way too long to break down. Scott 1000 sheets per roll - single ply; breaks down quickly. Much of your success can be attributed to the flushing you do. I look into my black tank after it's flushed to confirm no solids are left in there. if I see any...I flush again! Or use a wand sprayer. We use the our favorite TP, which is cheaper,thicker,better than any RV TP, we just Don't flush it down our toilet! We have a small covered trash can with the now banned grocery store bags,and we put the TP in there & empty it dally. A can of Lysol under the sink. This works great for us. If you have pets or kids, this shouldn't be gross. Umm... gross. And likely not too sanitary depending on how long it lives in that trash receptacle. We installed a bidet seat in our coach and therefore never have a need for toilet paper. Nice warm water rinse, warm air blow dryer, and heated seat. Doesn't get much better. Quick dissolve may be fine for you men but I do not appreciate having the TP 'disappear' in my hand as I try to clean up when I pee. If I have to fold it 3 times just to be sure I can wipe, then it is no good to me. Yes I need to be sure the black tank can be cleaned but if I dread using the toilet in the RV because of instant dissolving TP, then why am I in the RV? That's why testing is key. I am sure you can find a happy balance between quick dissolving in your tank, but not in your hand! Due to the rather cramped space around my toilet it is difficult to get clean. I installed a bidet (I have them at home and really like them). Problem solved and no TP used at all. Doesn't take a lot of water either. Most American toilet users aren't comfortable with the concept of a bidet. And, even though it doesn't use a lot of water, it does use some. Glad it works for you! We use regular TP but have always only put the TP with feces on it in the toilet (I know people who don't even put that in the tank but in the garbage). The rest all go into the garbage can. This eliminates a lot of the TP issue. I know more RVers that do this than that put all of it in the holding tank. Myself, i wouldn't want that in my trash at all. Too many sanitary concerns for my liking. Finding a good paper that breaks down isn't that difficult and makes the process painless. I put the paper from No. 1 in a twist tied trash bag that also holds my cat's used litter. No 2 paper gets flushed. With TSP treatment, I've never had a paper clog. I use the store brand, Sure Fine. I also use Scotts 1000. Depending on just how much paper is being used, you likely would be OK just flushing both. 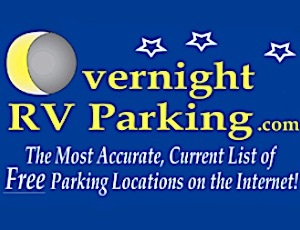 In 42 years of RVing I have never used RV TP. I have never had a problem and the last few trailers had a black tank flush system. I also have not used any chemicals in the last 20 years and the enzymes in the tank seem to be doing a good job as I have no odor. I think having enclosed tanks helps with this. I agree, sanitation requirements are not being met by "storing" your used TP. If you're going to do that why not just let the dog lick the plates and put them back in the cupboard? I think I might prefer dog licked plates to dirty toilet paper in a bag any day! We use Members Mark TP from Sam's Club both at home and in the RV. It breaks down quickly in water and we have not had any problems with it. BTW, our MH has a macerator pump. Macerator pumps have really improved the utility and ease of use for RV sanitation systems! Sorry wanderman but agree with rvgrandma. Tests were done and Scott's 1000 and angle soft passed the test. You "store" your used toilet paper in the garbage?? If they passed some tests, and I see them dissolve then they are probably OK to use. WE use composting toilet. Love it. Toilet paper goes in Litter Locker. Two Compartments in Locker. Never smell anything and easy to put in garbage. We use Angel Soft and it does fine. I tested it in a jar of water and it seems to breakdown fairly quickly. One trick I do for both my black & grey tanks is fill them all the way (as close to that as I can) just before I dump. Even if I am staying in a park with a sewer hookup, I keep the dump valves shut and dump the tanks periodically, as needed and always as full as I can get them, to get a better flush. Filling the tanks and letting them dump from full is a GREAT idea. Leave them open at your peril. We use the big, soft multi ply from Costco. We haven't used chemical for many years. Why would I pay 4 times the price for something that I would have to fold 4 times just to be able to use? Sounds like a vote for Costco TP! We use Seventh Generation® Recycled Bathroom Tissue - 24 Rolls from Target for $11.99. It is RV save (has the logo) and works great! A lot less money that TP at CW or other camping stores. Now, is it Charmin? No, but it's not John Wayne either! It's actually pretty good. What's wrong with a little John Wayne man up anyway? I'm with you...civilized comfort. That's why we RV! Having lived in countries where the sewer systems are described as "delicate," I've picked up the local custom of placing used TP in a specially designated garbage bin, rather than putting it down the toilet. This gets to be habit very quickly, and it saves your holding tank from filling up so quickly while assuring that nothing indigestible goes down there. Like I have said before, I am not too sold on the idea of driving around with a bin full of my used TP. Consumer Reports tests TP. Costco for the home septic system. Scott Extra Soft for the RV; or spend a lot more $ for 2 ply RV TP at Walmart vs the Extra Soft. Thanks for the tip! I still prefer to do my own final testing. Both in water for break down speed and well, in other places for comfort! Getting Lost - Is It Time For A New GPS?